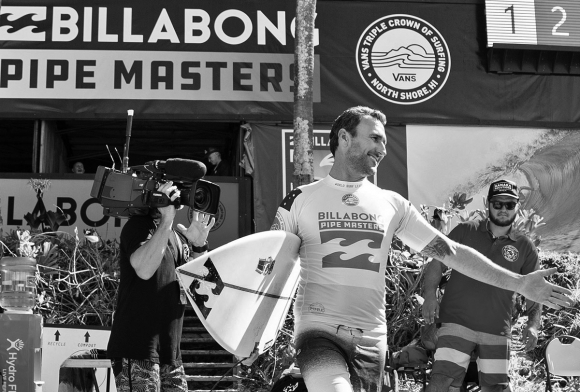 The 2019 Championship Tour surfers have long been announced, the event schedule has been posted, and everyone is on a three-month holding pattern for the Quiksilver Pro Gold Coast. Let’s take a closer look at the surfers who will be representing on the CT next year. ... or not representing. Ciao Ibelli must be pissed. It’s very hard to make a measured call on the WSL’s decision to give the Injury wildcard to Kelly Slater instead of Ibelli, but an opinion can be delivered with ease. It’s the right call, from the WSL’s point of view. Whether Kelly has been bunking It is Slater’s last year on tour, and the swansong of the world’s greatest surfer has incredible value to the WSL and to the sport in general.events in 2018 because he didn't feel like surfing them and irrespective of the fact that he did surf giant Cloudbreak during the injury, he will bring more value to the Championship Tour. With all due respect to Ibelli, who rips and from all accounts is a nice guy, Slater will bring more to the tour at a time when the tour needs more. It is Slater’s last year on tour, and the swansong of the world’s greatest surfer has incredible value to the WSL and to the sport in general. Ibelli is about 20 years Slater’s junior, and will most likely have more opportunities to compete on the CT in the future. On top of this, Ibelli is first replacement surfer, and with the current crop of daredevils, along with 36 surfers living their lives, there is a very good chance that there will be a spot for him in each and every event. Mikey February was the replacement surfer this year and he got a start in every event, although sadly drops from the tour. For him, perhaps not so sadly. Ryan Callinan, Ricardo Christie, Leanoardo Fiorvanti and Jack Freestone are all back on the Championship Tour after absences, and they now know how incredibly crap it is to be fighting it out They will not be giving up their slots without a helluva fight.on the WQS instead of competing in good waves and generally in good conditions on the CT. Better food, better sponsorships, decent waiting periods and all the other bonuses that come with surfing on the CT are going to be stark reminders to them as they journey through their comeback years, and they will not be giving up their slots without a helluva fight. This sub-set of CT surfers will be the most tenacious and possibly pugnacious surfers on tour, and will eat rookies alive in their hunger to re-establish themselves among the elite surfers of the world. The rookie subset of Peterson Crisanto, Seth Moniz, Deivid Silva, Soli Bailey and Mikey Wright will be making their debut full time on the CT, and will want to make some sort of lasting impression. Wright Wright has the eyes of WSL judgeshas the eyes of WSL judges after being gifted so many wildcards into the 2018 events, so he already has a form of establishment, but Crisanto, Silva, Bailey and Moniz will have their work cut out for them. 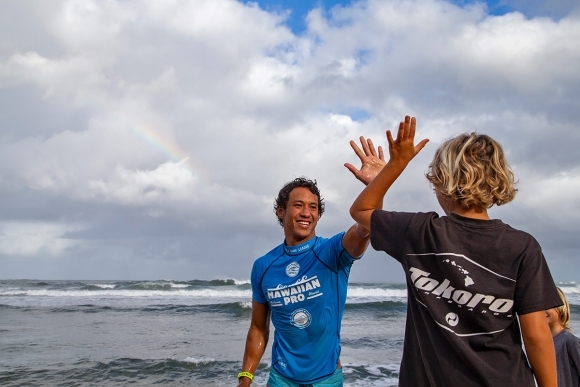 My eye is on Moniz, and if he carries himself anything like his dad, Tony, then he will do well on tour and work harder than most other surfers. Along with February, Joel Parkinson will no longer be on the Championship Tour as he has retired from competitive surfing. Joel has been around forever, since his 1999 wildcard win at JBay, to his world title in 2012, to countless contest wins, movie clips, interviews, magazine covers and the rest. It’s hard to imagine a tour without JoelIt’s hard to imagine a tour without Joel, but then that’s what everyone said when Taj retired, and then when Mick retired, and to be honest no one really noticed, with everyone fixated on the ‘next big thing.’ One surfer who will be missed however, is Wilko, who is also off the Championship Tour and is heading down to Byron Bay where he has opened up a guesthouse and looks set for dramatic lifestyle changes. Jack Robinson is still not on the Championship Tour, and it’s a crying shame. Definitely the best surfer in the world to not be on the tour, he would bring so much to the tour if he were on it – arguably more than Mikey Wright. He does come with an elephant in the room in the fact that his dad has rubbed up His dad has rubbed up a few people the wrong waya few people the wrong way, but that can be sorted out or circumvented with ease. There have been other parents who haven’t quite fitted into the pro surfing scene perfectly and solutions have been found. Anyway, it’s about Robbo himself, and with a barrage of surf skills as demonstrated on his latest clip, there should be a way of getting him on the tour. He wants to be there, the surfing universe would love for him to be there, but will he ever get there or will he be spat out of the system and left to dry out like Dane Reynolds and Craig Ando, or will he find a way to get on the tour like Mikey Wright did.